This article was first published in www.domain.com.au. Here is the link to the original article. Investors are now back in the market, looking for good buys before the proposed changes to negative gearing and capital gains tax come in from January 1 if Labor wins the next federal election. What type of home in Sydney is likely to bring the best returns? And where? And when? Now is a good time to snap up an investment property, suggests Domain economist Trent Wiltshire. “Prices may fall a little more but then the market will bottom out in late 2019,” he says. “The lending environment is easing a bit so banks are offering better deals. 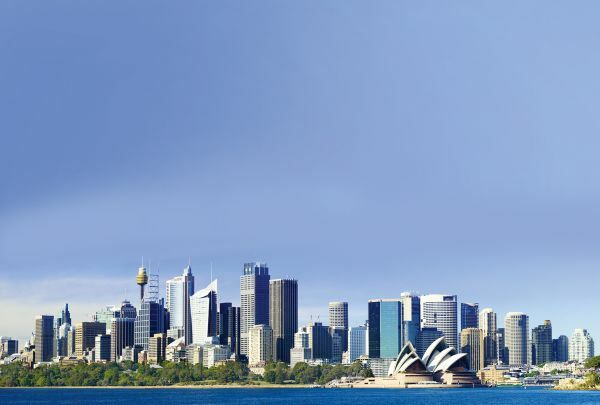 Sydney’s popular blue-chip investment areas – the eastern beaches like Coogee and Bondi, the lower north shore with Neutral Bay and Kirribilli, and the inner west including Annandale and Balmain – can be the best bet, believes Chris Gray, chief executive of Your Empire. “For the best capital growth and rental returns, you need to stay within five to 15 kilometres of the centre, in areas that are short of supply but always high in demand,” he says. “Also, try to buy a property that’s priced around the median as the majority of renters, and later buyers, can afford that. New developments can also be a good buy now, with finance tight for developers and many offering discounts, says Loanmarket East director Alex Lambros. “Choose [a house] that’s already renovated as they can offer a better return straightaway,” she says. 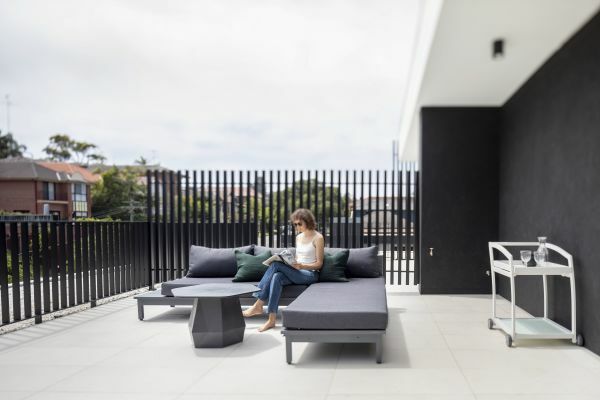 In the inner west, two-bedroom terraces can be a great choice, according to Matt Hayson, director of Cobden & Hayson. “They rent well to singles, professional couples and downsizers, particularly if they have the right aspect with a north or north-east-facing rear,” he says. In the east, terraces around Paddington or Surry Hills can be a good bet too, says Tony Laing of The Agency Eastern Suburbs. Apartments in smaller blocks with fewer amenities and therefore lower levies are a good idea. “They mean you don’t have as much land tax or other maintenance costs,” he says. 26/293 Alison Road, Coogee NSW. This new, north-facing penthouse in a boutique block is likely to offer a great yield, says agent Charles Touma of BresicWhitney Rosebery, who is selling the property with a $1.4 million guide. Only 750 metres to the beach, the penthouse has a large terrace, leafy views, open-plan living and a gas kitchen with stone benches. 20 Alfred Street, Annandale NSW. This is a classic two-bedroom terrace and a great investment opportunity in a leafy street in a very desirable area of the inner west. It has character features like period fireplaces, ornate ceilings and timber floorboards, but its kitchen and bathroom have both undergone a good quality renovation and the courtyard has entertaining space as well as rear car access. It’s for sale with a price guide of $1,095,000 via agent Ray White Annandale agent Tina O’Connor. G01.562a-564 Miller Street, Cammeray NSW. A two-bedroom, two-bathroom-plus-study apartment in the new block Aleuca is close to completion close to the cafes and restaurants of the local village, but in a bush setting. With big bedrooms and a study in the second bedroom, the 113sqm home has a designer kitchen with Caesarstone bench-tops, feature timber finishes, Spotted Gum floorboards and one security parking spot. Ray White Lower North Shore agent Justin Kurenda is selling the apartment for $1.85 million. 83 Garden Street, Maroubra NSW. This four-bedroom freestanding house is on 363sqm of land, and offers plenty of opportunity to renovate for instant leasing, and then more extensive work later, including permission for a two-storey home, to add extra capital value. It’s in a corner position in a popular spot just minutes to Maroubra Junction shopping precinct, with a variety of stores, cafes and restaurants, and transport. There’s also an enclosed back veranda for more room, and a lock-up garage. It’s for sale for $1,575,000 through agent Veronica Perez of PRDnationwide Perez Real Estate. 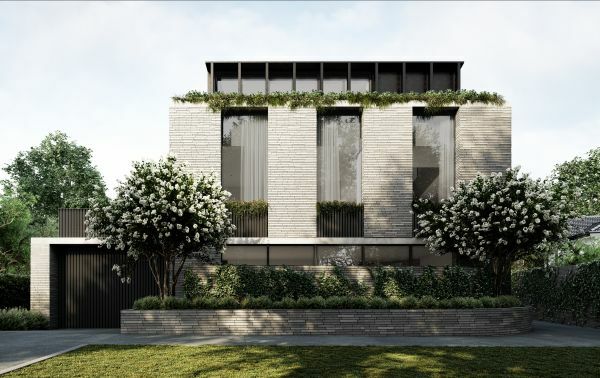 Pymble is undergoing a building boom, with property owners either knocking down old 1960s bungalows to make way for bigger new homes, or undertaking major renovations, in order to stay in the area with their perfect home. The steady demand in the upper north shore suburb, 16 kilometres from the Sydney CBD, means the fall in prices has been much less over the past year than in other areas. Pymble house prices, while up 60.4 per cent over the past five years, have softened by just 0.4 per cent in the last year. That contrasts with much bigger falls in neighbouring suburbs of Gordon of 14.4 per cent, West Pymble at 9.3 per cent and St Ives of 7.3 per cent. “That doesn’t surprise me at all,” says local businessman Jeoff Jones, who runs Anjeos Hair & Beauty from a site on the Pacific Highway that’s been operating as a hairdressing salon since 1954. “This area has so much going for it, people don’t move away, but a lot of others want to come here. He puts it down to the great public transport offered by the train station and buses in the area, as well as the parks and good schools, particularly independent schools like Pymble Ladies College, Ravenswood School for Girls, and Knox Grammar nearby. It’s certainly still a well-to-do suburb, with median weekly house rents at $1000 for the 16 per cent of people who rent in the suburb, showing a 2.5 per cent rental yield. As well as the building boom in houses, there are also a few new apartment buildings going up over the past few years. There are a number of good new cafes, restaurants and businesses, including the French cafe Comme Chez Nous and chic furniture store Remarkable Outdoor Living. “Pymble in the 1950s and 1960s used to be the boutique spot, and was to the upper north shore what Double Bay is to Sydney,” says Jones. Pymble has a clearance rate of 52.2 per cent, a median house price of $2,378,500, and a median unit price of $870,000. This multi-level home has had a series of quality renovations, so it’s ready to be moved into and enjoyed, with its large open spaces, formal lounge with fireplace, and great outdoor area complete with saltwater pool. It’s for sale through Orr & Co Estate Agents, who are quoting a price guide of $2.2 million. This 1904 Hamilton Park mansion was once owned by the family who started the first shops in Pymble, the Hamiltons. It has been renovated for contemporary living on 3200 square metres of landscaped grounds. Luschwitz Real Estate lead an expressions of Interest campaign, and advise on a $4.5 million-to-$5 million buyers guide. Property values have now fallen 13.9 per cent in Sydney since their peak in July 2017 and experts warn prices could remain stuck in a “deep trough”. Across the nation overall, Moody’s expects house prices in major cities to fall 7.7 per cent this year, while apartments will see a smaller 4.3 per cent decline, according to the ratings agency report. 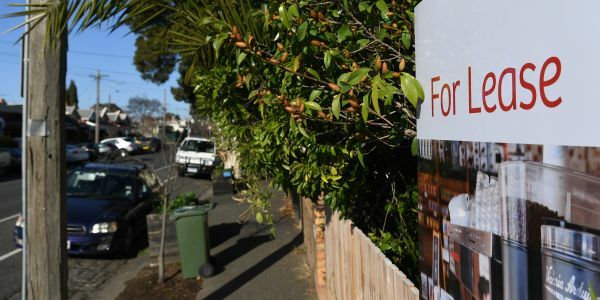 The biggest fall in house prices are expected to remain in the Ryde area, in the city’s northwest, with a 15.8 per cent fall tipped for this year. The news isn’t great for Perth either, with house values tipped to decline 7.6 per cent in 2019. There’s better news in Brisbane, with the worst “likely over” for the Queensland capital, according to the report. House values are set to see a correction in 2019 and strength in East Brisbane. Values in Brisbane’s apartment market are tipped to recover 0.9 per cent this year. Adelaide’s housing market will remain stable, with house values forecast to rise 1 per cent in 2019 following a 1.9 per cent gain in 2018. Labor’s plan to abolish negative gearing on existing properties for new investors could put a halt to a near-term rebound in the market. “If this policy were implemented within the first year of the Opposition entering office, already-slowing conditions in the investor segment of the market would be exacerbated,” the analysts wrote. Moody’s expects the Reserve Bank to keep the official cash rate on hold at 1.5 per cent until the middle of 2021. The bureau’s chief economist Bruce Hockman said the falls in the nation’s two major property markets were based on a number of factors. “While property prices are falling in most capital cities, a tightening in credit supply and reduced demand from investors and owner-occupiers have had a more pronounced effect on the larger property markets of Sydney and Melbourne,” he said. But in the northern beaches, median weekly house rents have soared $45 in three months, bucking the city-wide trend, according to the Domain Rental Report, released on Thursday. The city-wide median house rent remained flat at $540 a week over the past quarter, and apartment rents were also flat at $530 a week. Sydney becomes the second most expensive capital in which to rent a house after being overtaken by Canberra last quarter, but was the only city to have annual price falls for both houses and units, with rent down $10 a week (1.8 per cent) for houses and $20 a week (3.6 per cent) for units. House rents in the northern beaches and the inner-west increased by $45 and $5 a week over the quarter. In many areas rents have returned to 2016 levels but northern beaches rents are back to where they were a year ago. Domain senior research analyst Dr Nicola Powell said the number of units on the market across Sydney was up more than 20 per cent year on year, while houses were up almost 13 per cent. While rents remained flat over the quarter — off the back of Sydney’s first house rent drop in 12 years — this was still a good outcome for tenants, Dr Powell said, because it was the busiest time for the rental market and when prices were most likely to rise. Weekly house rents in Canterbury-Bankstown and the city and eastern suburbs took the biggest quarterly hit, falling 2.8 per cent – or $15 and $30 respectively. The lower north shore had the most significant annual drop, with rents falling 9.1 per cent or $100 a week, followed by the north-west, city and eastern suburbs, and west. With an increasing number of rentals coming onto the market, the days of finding a tenant in less than a week are long gone, said Rachel Beadman, head of property management at Phillips Pantzer Donnelley. “If a property is on the market for $1000 a week, [tenants] are probably trying for around $900,” Ms Beadman said. Rents for high-end, family houses had come down more significantly, dropping hundreds of dollars, she said. Lauren Beare of The Agency said that in her 18 years in the industry, she had never experienced a market where tenants had so much choice. While once tenants turned up to open homes, they had not even set foot in, with completed applications, they were now knocking back offers to go for their preferred property. Ms Beare said the time taken to find a tenant on the lower north shore rose about 20 per cent and that, with prices falling, landlords who didn’t meet the market faced an even longer wait. “As much as we want to advertise the rent at the current level [when re-letting], it’s going to sit on the market for weeks if we do that,” she said. The most significant quarterly falls in apartment prices were in the south-west and south, down 2.7 per cent and 2 per cent, with the south-west also recording the most significant annual decrease of 5.3 per cent. 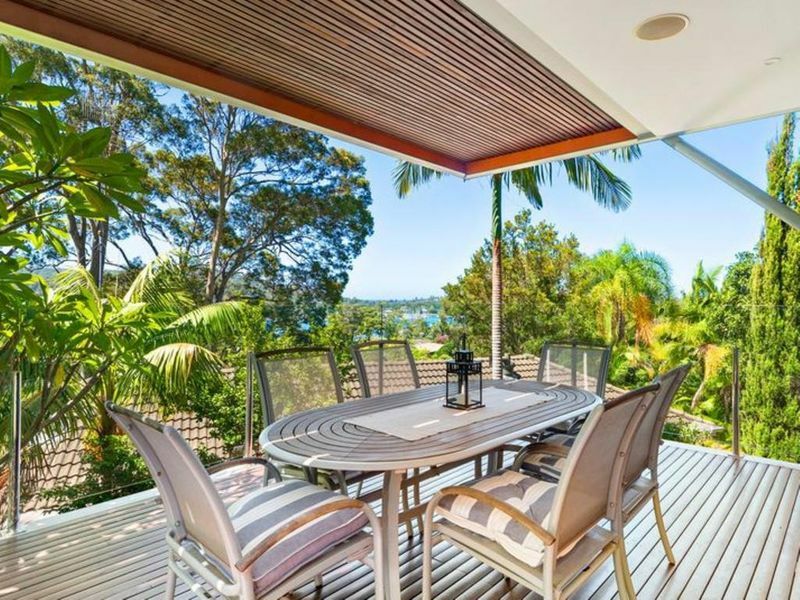 It was followed by the north-west and upper north shore, while the northern beaches, again, defied the trend with rents up 1.6 per cent over the year. Supply was again key, Dr Powell said, with unit supply on the northern beaches down 1.2 per cent annually, while supply was up more than 20 per cent in outer regions, topping out at a 40.8 per cent annual increase in the north-west. If you’ve ever wanted a home that stands out from the rest, then here are seven you need to see. From historic homes to abodes with train carriage bedrooms and those that are mid-century marvels, here are some of Australia’s quirkiest homes for sale right now. Ever dreamed of living in a (former) pub? Here’s your chance with this historic residence in Avenel about 90 minutes north-east of Melbourne. Originally the Royal Mail Hotel, the Coach House, as it’s now known, has been variously used over the years. It was a bed and breakfast, a community meeting place and was also used as a home. It has a history ingrained in Aussie folklore with the son of one of the former owners saved from drowning by bushranger Ned Kelly. The home, hand built in the 1840s with clay bricks, features 12 rooms, including four bedrooms and four living areas. This unique fixer-upper in Jimboomba, 45 minutes outside Brisbane, offers buyers a very holy abode. The building is a former Uniting Church, moved from Brisbane by the current owner who wanted to turn it into a home. Because they are moving on to another investment, an opportunity exists for buyers to snap it up and make it theirs – though it will need council approval to become a residence. The 100-year-old church includes stained glass windows and even a pew or two. 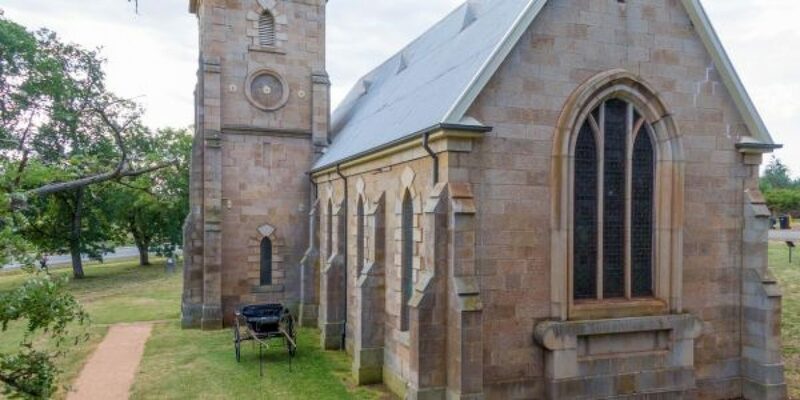 Speaking of churches, this former house of worship, built in 1857 in Campbell Town is up for sale. The church, which formerly catered for events including weddings is called, well, The Church and offers a business and potential residence in one. The property is between Hobart and Launceston and includes the church building, a hall and just over half a hectare of land. A mid-century marvel, this home in Newtown (a suburb of Toowoomba) could definitely be the dream home for lovers of the era. Dubbed the tree house because of its outside decoration, this two bedroom abode also features gingham kitchen walls and an in-keeping-with-the-era bathroom. 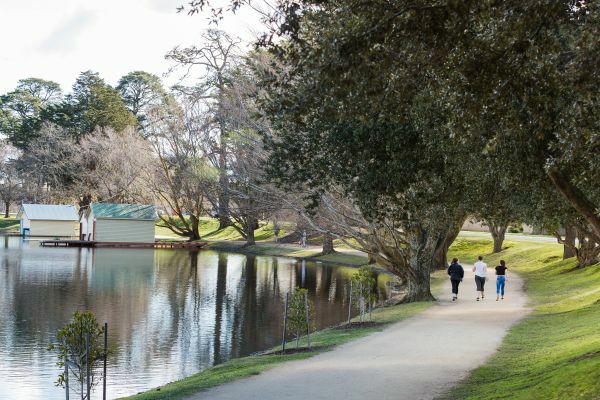 It’s also just a hop, step and jump from Newtown Park, the State Rose Garden and Toowoomba CBD. Best known for its radio telescope (the dish) and its annual festival celebrating all things Elvis, it’s probably no surprise Parkes has some unusual real estate for sale. This unique looking four-bedroom, two bathroom home, with concrete rendered walls, a curved kitchen and bathroom is for sale in Elouera Place. It also includes an in-built bar perfect for all those after-hours Vegas-style parties. This stone cottage looks like something out of a fairytale, but it’s actually a quirky home in Yankalilla, just over an hour south of Adelaide. The house, built in the 1850s, features three bedrooms and has amazing stonework inside and outside. It has a stone out-building which could be used as an artists’ studio and also features a garden of the era. Lovers of purple and quirky homes rejoice. This could be your dream house in wine country in WA. This unique and purple home was built around a 1910 Western Train carriage and has three train carriage bedrooms. It also has a purple kitchen and gorgeous bush surroundings. With approval to use the home for short-term holidays, it could also earn a buck or two if you decide to rent it out when you’re not there. There has been very little uptake on improving housing affordability over seven years at a local government level across Australia despite increased attention on the issue, according to new research. 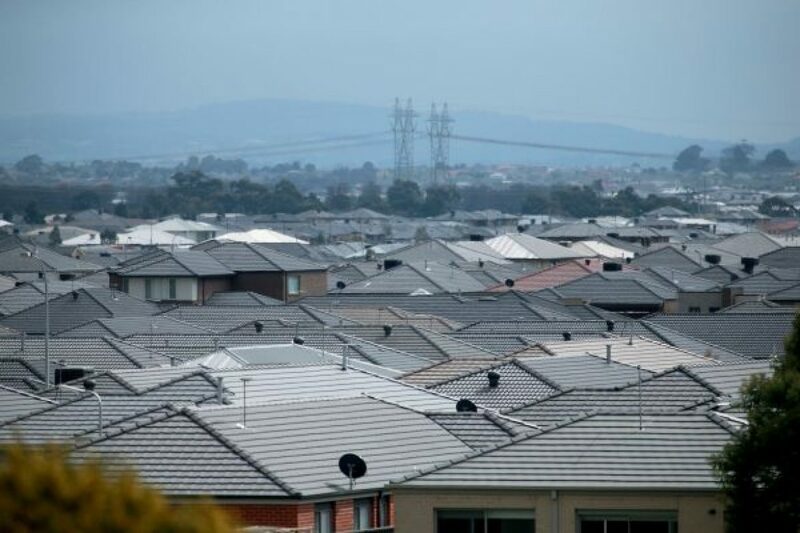 NSW recorded a decline in measures that tackled the problem while South Australia outdid all other states because for the past decade it has had a statewide affordable housing program, the research found. Report authors University of Sydney post-doctoral fellow Catherine Gilbert and University of Sydney Urban and Regional Planning professor Nicole Gurran found affordable housing mechanisms were overall quite rare in local plans across Australia. “To date, very few local plans have had concrete measures to include affordable housing,” Ms Gurran said. The planning research paper compared the survey results of 200 local planning documents between 2007-09 and 2013-14, which reflected current development frameworks. Of the plans analysed, only 4 per cent had specific affordable housing mechanisms – primarily in Melbourne and Sydney. Ms Gurran said affordable housing could be achieved only if it was mandated through different mechanisms, including incentives like additional floor space for developers. “It is a fiction to think the market is able to deliver an affordable housing outcome,” Ms Gurran said. “The other fiction is that the private sector would voluntarily provide affordable housing. That’s not commercially viable. Last year, the Reserve Bank of Australia also found local councils’ restrictive regulations and NIMBYism were driving up property prices. The research also found planning reforms in the past decade had limited the different ways of achieving housing affordability. This included affordable housing contributions requirements. But Ms Gurran believed this loss could be offset by the NSW government’s announcement earlier this year to enable all councils to include affordable housing provisions in local plans. It was previously available only to the City of Sydney and expanded to five more councils in 2018.